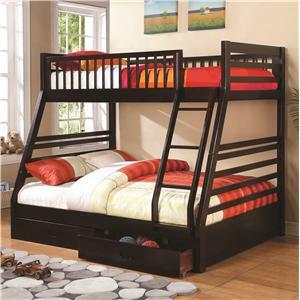 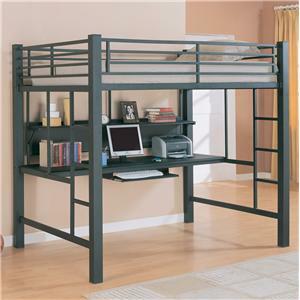 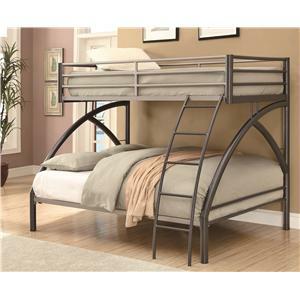 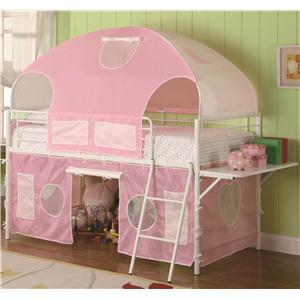 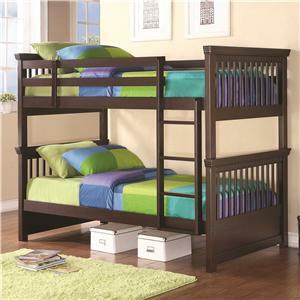 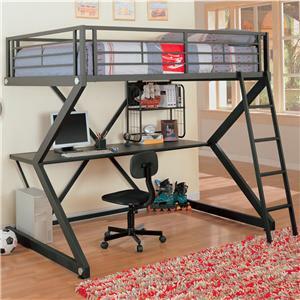 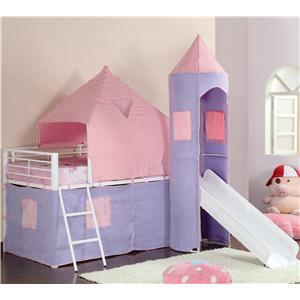 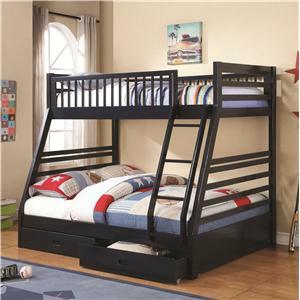 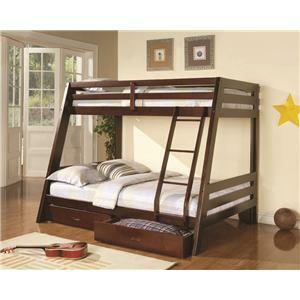 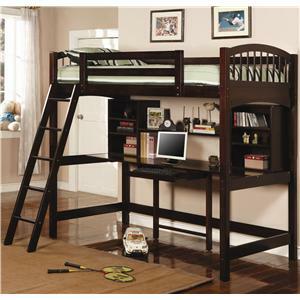 Establish a room for your child that is inviting and charming with the twin over futon bunk bed. 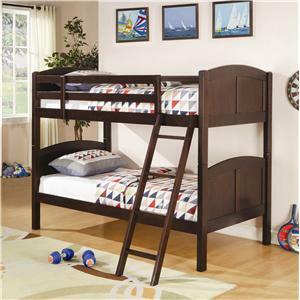 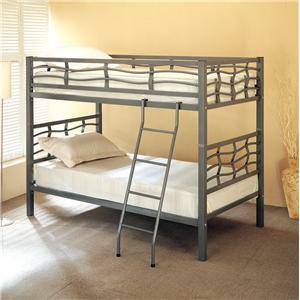 The top twin bunk features full length guard rails for safety and built-in side ladders for convenient access. 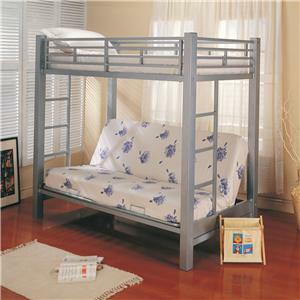 Below, the futon offers a comfortable place to read favorite books, or fold it back and create an additional bed during sleep overs. 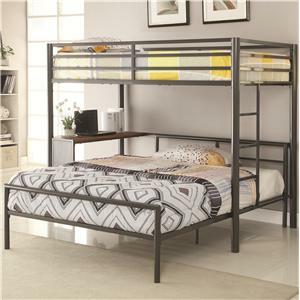 The clean metal designs in silver compose a casual contemporary look that will blend with almost any decor. 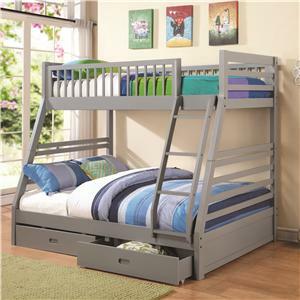 Weight limit for top bunk is 150 lbs and bottom bunk weight limit is 200 lbs. 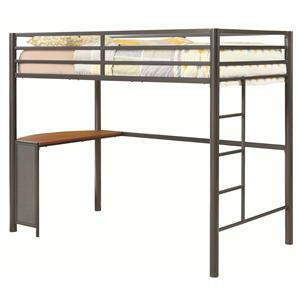 The Bunks Twin Over Futon Metal Bunk Bed with Futon Mattress by Coaster is available in the area from FMG - Local Home Furnishing. 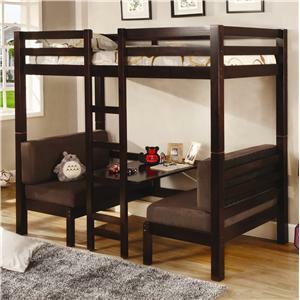 7399 Twin Over Futon Bunk Bed 1 43.5" 80" 72"
The Bunks collection is a great option if you are looking for Casual furniture in the area. 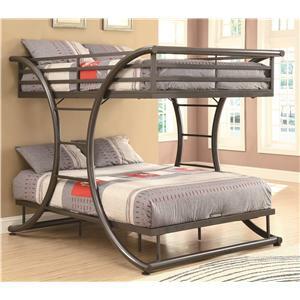 Browse other items in the Bunks collection from FMG - Local Home Furnishing in the area.